And five years later, a relocation to the United Kingdom prompted her career on stage and in front of the camera.First she studied Performing Arts, Musical and Physical Theatre at The City College in Coventry, England, then went on to earn a B.A. in Drama and Performance from The University of Wolverhampton. During her theater days in the UK, she performed in numerous plays including "The Crucible," "Miss Saigon," "Jesus Christ Superstar," and "The Grimm Tales,” before moving back to Nigeria some years after graduating from college. There she continued to make a name for herself in theater. However, it was Knocking on Heaven’s Door, her 2014 debut feature film, that put her on the fast track to becoming a Nollywood star. New eyes followed her as she began starring in TV shows like Brave, Gidi Up Season 2, Special Crimes Unit: Las Gidi Cops, and joined the cast of MTV's HIV/AIDS edutainment series, Shuga 4. Her resume now includes roles in feature film such as Falling, A Soldier’s Story, Out of Luck, And The Spirit Slowly Dies, Ayamma: Music In The Desert and 10 Days In Suncity. It was only a matter of time before she began to collect praise and awards for her moving on-screen work. 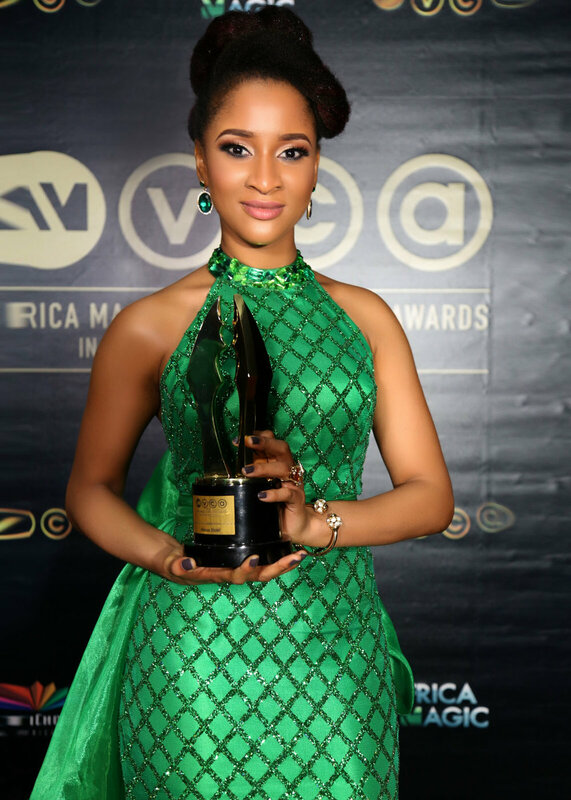 Between 2009 to 2016, Etomi took home the Foresight Theatre Award for Best Performance in a Devised Piece of Work, the Nollywood Reinvented Award for Best New Actress, a Golden Movie Award for Discovery of the Year, an ELOY Award for Actress of the Year (Big Screen), and the Africa Magic Viewer’s Choice Award for Best Actress in a Drama. Her latest work, Memoirs of 4 (produced by Aarinola Odimayo and directed by Alex Mouth) arrives this year, we can only wait to see how she continues to make waves in Nigerian entertainment and beyond.